A visit to the Sanctuary Spa at The Den Hotel in Bengaluru is a sure shot way to rejuvenate both your body and mind. On a recent staycation at The Den hotel in Whitefield in Bengaluru, I had the opportunity to have a spa session at the in-house The Sanctuary spa. 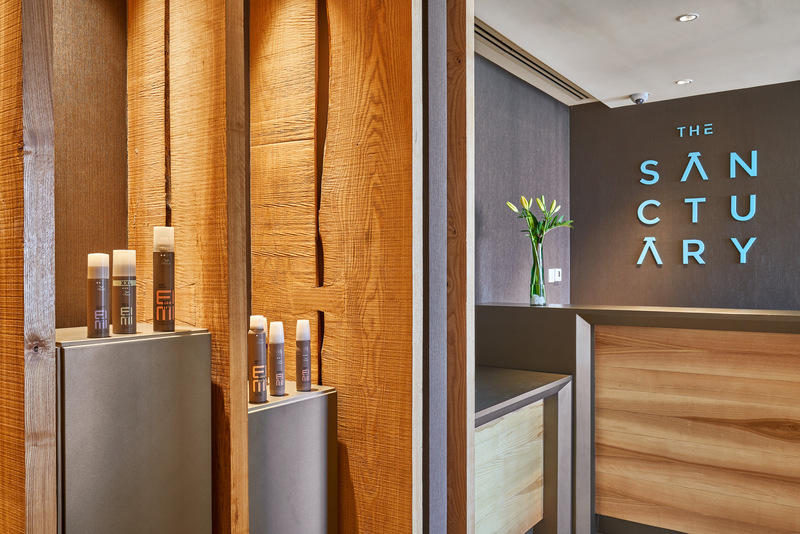 An intimate and indulgent space, this spa has three treatment rooms named after butterfly species so you have ‘Orange Tip’, ‘Red Admiral’ and ‘Purple Emperor’. The décor is chic with contemporary lines and done up in hues of brown and cream interspersed with green of the towels and the nature outside. When I came here I was welcomed with a hot tea made with lemon and honey that helps to detoxify the body. My therapist was Tshewang from Bhutan asked me to fill a consultation form and among other things one of the questions was “how would you like to feel after the spa experience”. To this I wrote – relaxed and refreshed. 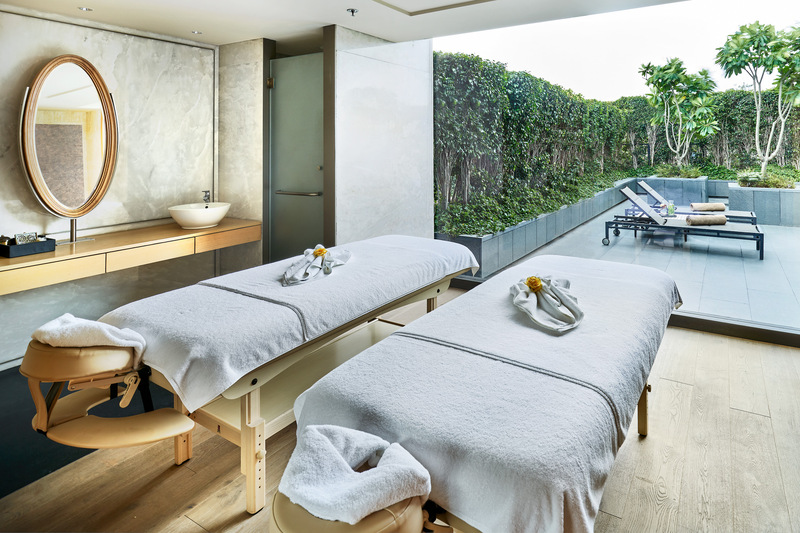 After reading the menu, I decided to experience the signature “Sanctuary Bespoke Balancing” treatment where you can choose the treatment oil that you like. The treatment itself is aimed to rejuvenate people who have a hectic lifestyle and need to relax and detoxify the muscles. And that certainly matched my profile so I decided to opt for it. I was then asked to smell three oils – rejuvenate body massage oil, relax body massage oil and balance body massage oil, each of which had a varied fragrance profile. I decided to choose the Rejuvenate body massage oil courtesy its distinctive jasmine floral fragrance. The oil itself is a mix of virgin carrier oils – sesame, sunflower, apricot, almond, walnut and coconut. It also has a blend of aroma oils like rose, jasmine and lavender and is enriched with vitamin E oil. There are no chemicals or preservatives in this oil which makes it an ideal choice. And if you want to relax for a bit, there is an outdoor relaxation area attached to the spa too. My therapist showed me to my room that was equipped with a shower and washroom area as well as a space for a cupboard and was quite spacious in that sense. Once I had changed my therapist Tshewang asked me to lie face down and ensured I was comfortable. To start the massage, she first did a dry stretching and massage of my back and legs, and cleaned my feet with a warm towel that felt soothing. Soon she started with my back massage using warm oil and using long and elongated strokes, she deftly negotiated all the stiff muscles. Interestingly my masseur used her hands especially her arms and lower arms to massage my entire back that left it feeling completely relaxed. After the back massage was completed, she once again used a warm towel to pat the oil dry. After this my hands and legs were massaged with perfect synchrony and I was asked to turn over for the massage of the front of my body. Using her hands, fingers, thumbs and sides of her palms, the strokes were perfect to transport me to another world. At the end of the massage, Tshewang once again used a warm towel to wipe my legs dry. Post this I was asked to have a sauna and a shower and I did come out feeling both relaxed and refreshed – exactly what I wanted before the session started, You can too – simple head to The Sanctuary Spa and you will know how you can refresh and recharge yourself to face the urban grind once again.